This fresh, lightly lemony flavoured veggie dish is a quick addition to any meal. Tip: Choose your asparagus by having a look at the tips. If they are nicely packed and smooth as in this pic-ture, you’ve got a fresh bunch! Remove the woody lower part of the stalks by gently bending the asparagus spear. It should break off where the fresh part starts, about 1 to 3 inches from the bottom. Place olive oil in a skillet on medium heat. 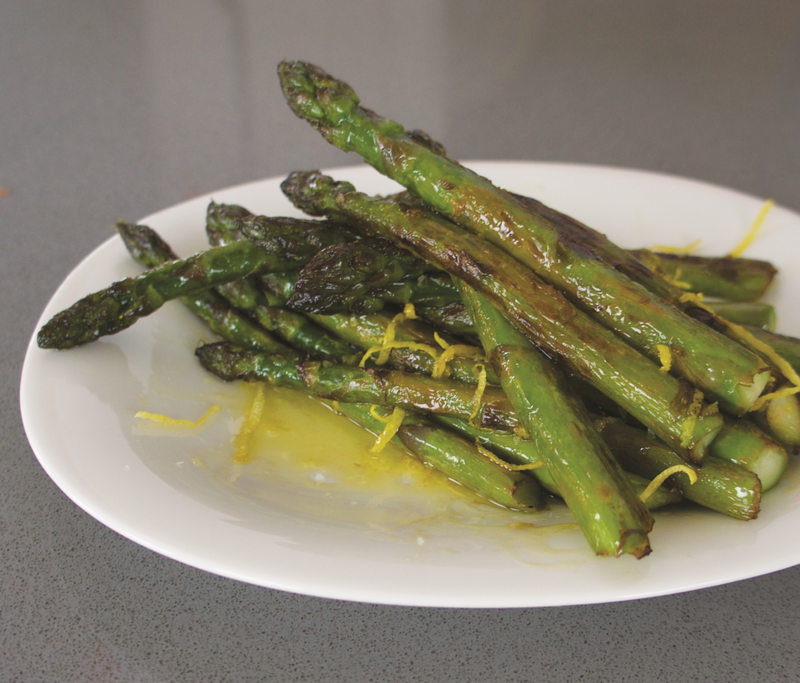 Toss asparagus in the oil and cook for 5 to 10 minutes or until the spears start to brown. Add lemon juice at the last second before you take them off the heat and toss well. Finish by sprinkling the lemon zest on the spears.